As a remedy for the alleged FAPE violations, Student requests that the ALJ order LACOE and CDMH to provide him with 50 hours of compensatory mental health services to be used after he returns to the community from his present residential treatment center (RTC) placement. 4 Student also requests an order from OAH identifying which of the remaining respondents is responsible for providing him with mental health services under Assembly Bill No. 3632 (hereafter AB3632), which was enacted in Chapter 1747 of the Statutes of 1984, operative July 1, 1986, and which established interagency responsibilities for providing and funding mental health services to students with disabilities in California. This enactment is codified as Chapter 26.5 of Division 7 of Title 1 of the Government Code. 1 Please note that the only amendment to this Decision is to correct the typographical error on page 3, in the Procedural Issues, as to Torrance’s motion to dismiss Issue One. 2 Student is a plaintiff in that case. 3 During the prehearing conference and after discussion with the parties, the ALJ reworded the issues presented by Student in his complaint. 4 Student’s complaint originally asked that OAH provide a remedy for similarly situated students and that OAH order structural and/or systemic changes in the provision of mental health care to special education students by the respondents to this case. On December 29, 2010, OAH dismissed this request for relief as being beyond the limited jurisdiction of OAH in special education due process hearings. 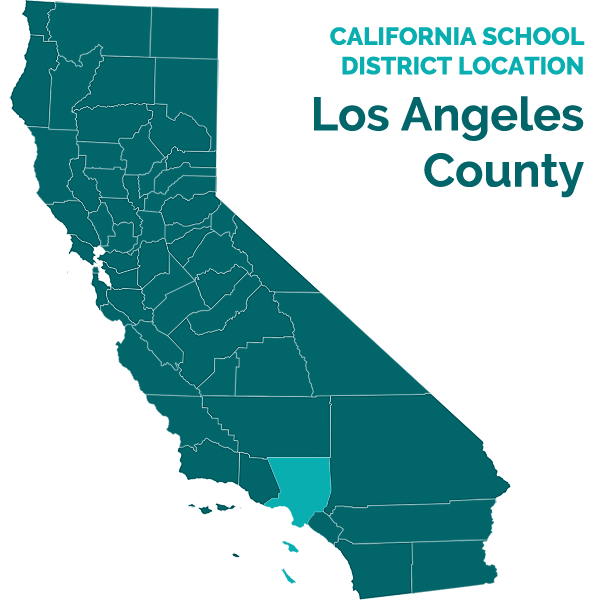 As to Torrance’s motion to dismiss Issue One, LACOE contended that Torrance was not the local education agency which was responsible for providing Student a FAPE during the applicable time period. Student did not contest Torrance’s motion. Torrance’s motion to dismiss was granted and Torrance was dismissed from the action. 5 In addition to A.C. v Schwarenzegger, another case involving the same issue was recently decided by the Court of Appeals for the Second Department, California School Boards Association v. Brown (2011) ___Cal. Rptr.3d ____, 2011 WL 668050, 111 L.R.P. 14617. 1. Student was born on February 24, 1993, and is eligible for special education and related services under the eligibility category of emotional disturbance (ED) and a secondary category of other health impaired (OHI). 6 Student was adopted at the age of two and a half by his parents. Student had fetal alcohol syndrome at the time of adoption. Parents have resided within the boundaries of Torrance at all times material herein. Student resided with his parents, 16-year-old sister and seven-year-old brother. Student has a history of marijuana use, alcohol use, and cutting himself. 6 Student also has Attention Deficit Hyperactivity Disorder (ADHD). 19. On October 12, 2010, the juvenile court continued Student’s request for a “home of parent release order” which was necessary to release Student from juvenile detention and permit him to be placed at a RTC.7 Mother testified that the reason for the continuance was that the judge wanted to grant time to have the funding for the RTC placement to be resolved because of the Governor’s veto. 20. On October 27, 2010, Student and three other students filed an action in the United States District Court for the Central District of California alleging that the Governor’s line-item veto of AB3632 funding violated federal law.8 On November 1, 2010, Student, CMH, Torrance, and LACOE entered into a stipulated temporary restraining order (TRO). The TRO stated that the California Department of Education and the State Superintendent of Public Instruction had agreed to release to county offices of education the 76 million dollars in IDEA funding currently in the state budget, a portion which were to be passed from LACOE to CMH for educationally related mental health services. Pursuant to the TRO, CMH agreed to resume and continue to provide and monitor educationally related mental health services, to attend IEP meetings, to complete assessments and authorize services, upon referral from local education agencies in Los Angeles County until funding was exhausted or the federal suit was resolved, whichever occurred first. 22. LACOE conducted a triennial assessment of Student on October 26 and 27, 2010. The assessment was conducted by Tony Meehiels, school psychologist, and Tina Sinipe, Student’s SDC teacher. Student received a full scale IQ standard score of 100 on the Cognitive Assessment System, which is in the average range. His subtest scores were in the average range except in planning where he scored a 77 which fell in the sixth percentile. 9 On the Woodcock-Johnson III Tests of Achievement, Student’s standard scores were 96 in math, 116 in written language, and 120 in reading. Student scored in the average range on the Connor’s Third Edition-Self-Report in all areas except for inattention (37, which is in the low range), aggression (61, which is in the elevated range), and conduct disorder (61, which is in the elevated range). Student was not in the clinically significant range on the Childhood Depression Index, but he scored in the clinically significant or at risk range on the Achenbach Youth Self-Report which measures child behavior problems and social competency. The report found that Student qualified for special education under the category of ED “[d]ue to his long history with defiance and oppositional behaviors.” The report recommended that Student be placed in a SDC and provided with counseling once a week for 30 minutes. 7 Prior to the juvenile court issuing a home of parent order, the court receives a probation report which includes recommendations as to incarceration and placement. 8 A.C. v Schwarzenegger et al, U.S.D.C.-Central District, Case No. CV-10-7956 GW (AGRx). 9 An average standard score is between 90 and 110. 11 Because Student has failed to demonstrate a denial of FAPE, it is not necessary to rule on which agency is responsible for providing and/or funding AB3632 services during the relevant time period.